Though we are still in the early days of Autumn – it is never too early to start planning how you will protect your home & family this winter. 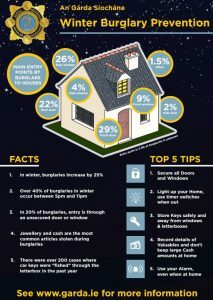 Planning now to prevent a burglary in your home will not only protect your loved ones but also save you money and heartache. 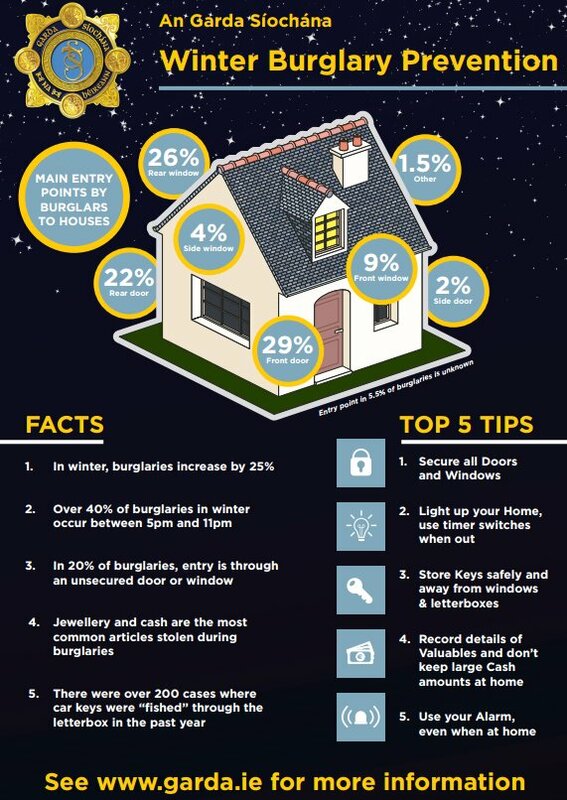 ESP Security would like to share with you tips about how to protect your home from An Garda Síochána. If you need a burglar alarm installed or repaired – do not hesitate to contact Brian from ESP Security who will be more then happy to take your call.